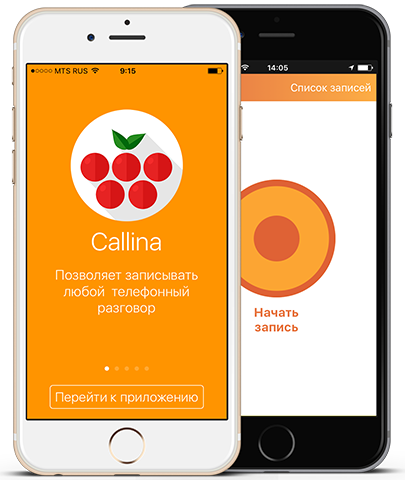 ﻿ CALLINA - mobile application and internet service for telephone conversations recording on your iPhone/iPad. 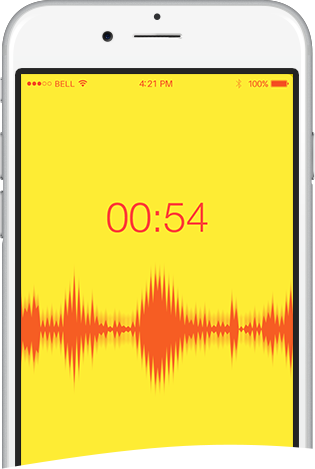 Mobile application and internet-service for recording phone calls on your iPhone/iPad. Connect to the conference call the person, with whom you want to record the conversation. If it is an incoming call, answer it and add the service number to the conference call. Recording starts as just as you add the service number to the conference. After the call’s ending you will get a message on your phone, confirming the record being completed. You can listen to the record or download it on your computer using the personal cabinet or the mobile application for iOS / Android. Test period for free as a gift! The table shows the tariffs for the service of phone conversations recording. Call charges on the service numbers and called number is determined by your operator. All the functions and features of the call recording service Callina are now available on iPhone/iPad.